The Double Quinella is another great bet type for Horse, Harness or Greyhound racing. This article written by Paul Segar and brought to you by Pureform outlines the nuts and bolts of this interesting wager. 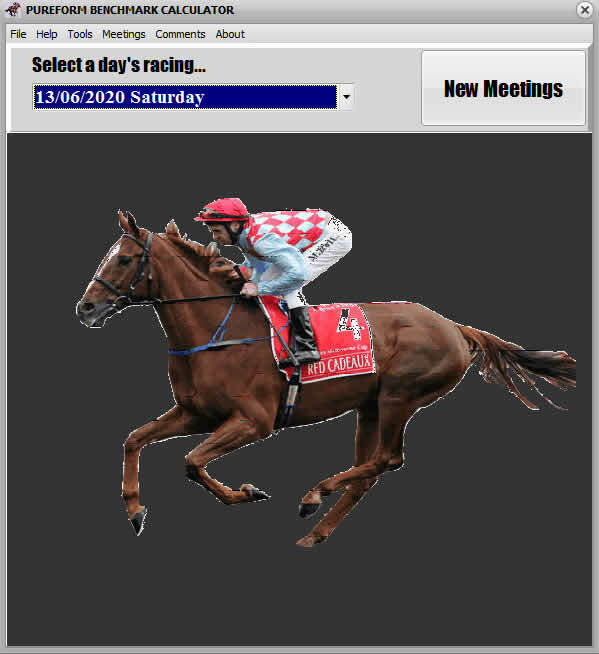 The Tatts website recently introduced a new bet type (for Australia) called the Double Trio. A great bet but with a degree of difficulty fast approaching a triple somersault in the pike position, a clever move may be to try an easier wager : the Double Quinella. The Double Quinella is available using Parlay Betting on Super TAB. Basically you select competitors to finish in the Quinella in two events. You can of course take Quinellas in up to 6 events using Parlay betting : this article looks at using two events only. The Double Quinella : simply select a series of runners (at least 2) in each of two races (or legs as they are called in multiple betting). The successful bet will select the Quinella in both events. This is a great example of multiple betting with the potential for some massive returns. Consider two Quinella dividends of $45 and $33. A $1 bet on this Double Quinella combination will return no less than $1485. Consider more massive results: a $108 Quinella coupled with a $44 result. The $1 dividend? $4,752! Flexi bet. Multiple units. Multiple Races. Result? Potential large returns. It has everything the average punter needs plus it allows you to focus on the two races of your choice. What type of bets can be taken in the Double Quinella? First take multiple runners in each leg. So to take a 5 x 5 (5 runners by 5 runners, that is 5 boxed runners in the first Quinella coupled with 5 boxed runners in the second Quinella) will create 100 combinations and costs $100 for a $1 investment. Taking 4 runners in one leg and 6 in the other (a 4 x 6 or 6 x 4 wager) would cost $90 ($1 unit). Flexi bet to reduce the outlay. Other combinations are found in the table. A strong benchmark wager for the Double Quinella is the 4 x 4 wager : take 4 runners boxed in the first leg coupled into 4 boxed runners in the second leg for a cost of $36 for a $1 unit. Of course a single Quinella (two runners) can be coupled with a box combination with an almost limitless array of options and combinations. The cost of a Double Quinella increases rapidly with selected runners : there is little point attempting a larger bet than an 8 x 8 wager ($784 for a $1 unit). The average dividend has exceed $28 to make a profit (the easy part). Additionally you still have to select the two Quinellas (the hard part). There is no separate pool of money for this bet type but Quinella dividends are calculated from separate Quinella pools so it is an ideal parlay wager with in-built value. Taking a 5 x 5 Double Quinella in a $20 flexi bet will return 20% of the $1 dividend. In this bet both dividends have to pay more than $10 to make a profit. Avoid taking a large Double Quinella bet if coupling an odds-on favourite or short priced runners. One of the strengths of this bet type is you can harness a series of multiple bets into an achievable result. The beauty of the Parlay setup is you can take the Double Quinella on any two races at one meeting. Example: You like race 1 and race 6 as two events for Quinella betting. You can take both events for a Double Quinella and given two dividends of around $20, the return will be around $400 for a $1 dividend. Clearly this type of betting puts the punter in control (as does other parlay betting options). Select the best races for the wager rather than using pre-selected events (e.g. the Quaddie is always on the last and usually toughest four events). The TAB in Expert mode provides a batch processing method allowing key Double Quinellas to be taken (the bets can also be completed manually). A key Quinella is coupling a single runner with a series of other runners : the key runner must finish first or second along with one of the other selections completing a successful Quinella bet. The first table outlines taking one key runner in either leg coupled with a series of runners with a box Quinella bet type in the other leg. The left hand column shows the key runner with a number of other runners, the minimum being 1 extra runner. The top row shows the number of runners boxed in the other leg. To take a key Quinella in the first leg with 4 other runners (total of 5 runners) into a 5 runner boxed Quinella in the second leg will create 40 combinations and cost $40 for a $1 unit. Flexi betting will reduce the outlay (and the return if successful). Runner number 1 is taken as a key in the first leg along with runners numbered 2, 5, 7 and 8. In the second leg, numbers 3,6,8,9 and 11 are taken as a box combination. 4, 9 2, 4 No Quinella placed runners in either leg. In many bets, the latter result will be the norm. The “key” is to only wager on events where you have an advantage, not every pair of races. The following example highlights some of the features of the bet type along with possible outcomes. Success is when the key runner finishes first or second in both legs along with one of the other runners in both events filling the missing Quinella placing. 5, 8 2,4 No Quinella placed runners in either leg. Key Quinella betting is a great way to wager and given some value (I would suggest anything over $8 represents enough value with preferably some doubt existing around the favorites), the field can always be coupled with your key runner to ensure a result in one or both legs. Any key Quinella option requires multiple “tickets” to be taken. Pureform has software to simplify the task. Email if interested. Some races consist of 4 or 5 top chances with no clear selection but opportunity for value. For this scenario a 4 x 4 or 5 x 5 Double Quinella could be a smart wager. Some races present a top performer almost certain to win or finish second along with a number of other chances coupled with a series of strong chances in another race. This scenario suits a Double Quinella taking a key runner combination in one leg coupled with a box Quinella in the other. The other key Quinella scenario covered in this article is taking a key runner in both legs along with a series of other chances. Again some events present quality performers almost certain to win or run second : combine those runners with a series of other competitors or perhaps the field. These three scenarios are useful ways to take a Double Quinella. The best approach will depend on your level of confidence, available funds and as always, a multitude of other factors. Avoid events made up of either an odds on favourite likely to run well or events where the short priced runners are clearly superior. Excellent opportunities arise when the odds on favourite appears unlikely or the favourites have limited ability. Ideally target races with dividends of $20 or more with potential returns over 400-1. So there you have it. The Double Quinella is a great bet type to use on selected events and available on VIC or NSW TAB using the Expert betting option.